Dimension lines go down on the plans. There is a logic to the way the dimension graphics go down. Plan dimensions around the perimeter are in a hierarchy, outside to in. Overall dimensions, then major breaks in the massing, then openings in the exterior envelope, then interior partitions that intersect the exterior walls. 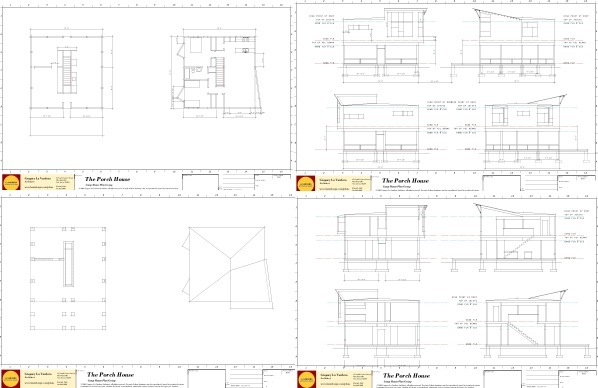 Continue reading "Porch House Construction Prints dimensions"
Section drawings of the Porch House are complete. Next the wall section drawings will be blocked out and the notations can begin following that. 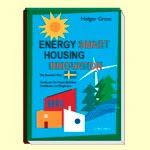 Continue reading "Porch House Construction Prints sections drawn"
Continue reading "Porch House floor plans & elev's"
Continue reading "Stock Plans in Boston Globe"
The basic drawings for the Porch House have been blocked out. 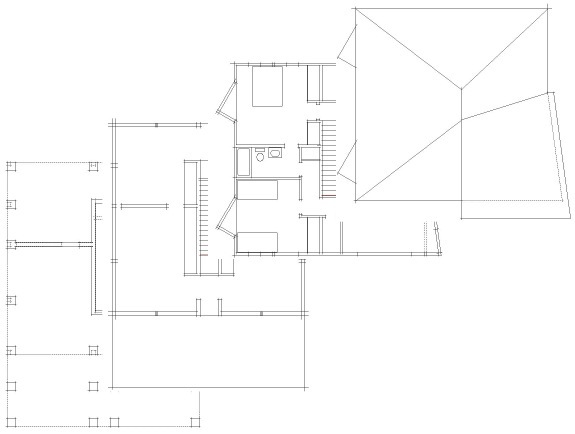 Plans, Elevations, and Section drawings for the house are laid out, or blocked out as I like to say. The next step will be to begin adding line-weight much as you saw with the Plat House previously. Rather than crops, here are overviews of the four drawing sheets underway. Continue reading "Porch House Construction Prints blocked out"
The Construction Prints for the 0376 Porch House have begun. As I promised, the Porch House is the next design to be completed. Several people have indicated that they are anxious for this house plan so I am going to try to complete it as fast as I can. Right now I am in the process of blocking out the remainder of the drawings - the foundation and roof plans are laid out, elevations too, and I am working on the building sections right now. Continue reading "Porch House Construction Prints underway"